Parents of kids and teens with ADD or ADHD often struggle with the myths and stigma surrounding their child's condition. This can often lead to parental guilt and shame. In Attention Difference Disorder, Dr. Handelman combines his clinical and scientific background with a positive, strength based approach to bring you 7 simple steps to succeed with ADD. 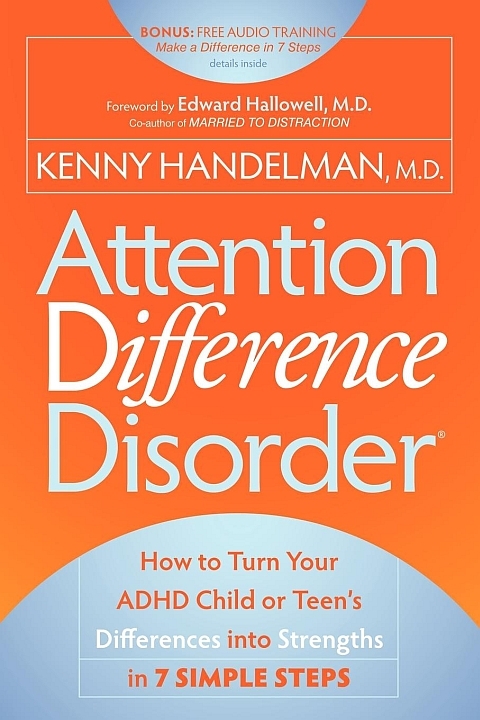 Dr. Handelman shares that there is not always a deficit in attention with ADD, rather there are differences. As he writes: " One of the themes of this book is to take your child's deficits and turn them into differences, and then turn those differences into strengths." In this concise, easy to read and thorough book, you'll begin to see ADD in a completely different light. The science is combined with a practical and easy to implement approach, where the 7 steps help parents navigate the different treatments needed to help their children succeed. The 7 steps include strategies for home, school, medications as well as one of the most thorough reviews of the science behind the Alternative Treatments for ADD yet published. Attention Difference Disorder helps parents to understand their "Parent's ADD Journey", and address whether ADD can be a gift and provides a 6 step plan to help you to unwrap the gifts in ADD.